Weighty Matters: Bad news for Wii Fit curing childhood obesity. Bad news for Wii Fit curing childhood obesity. Scott Owens, a researcher out in Mississippi decided to see what Wii Fit would do to family fitness so he loaned out 8 Wii Fits to 8 different families and was looking to see if it would help those families get more fit. 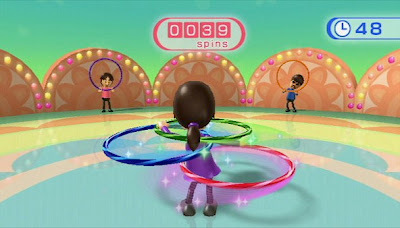 In kids, while aerobic fitness did increase during the 3 months of Wii Fit, there were no changes to any other parameter. More importantly, while initially a big hit in the homes, by the end of the 3 months the average family was only spending 4 minutes a day on the Wii Fit. 4 minutes a day sure ain't going to do much. My advice? Buy a Wii for fun, go outside for fitness. Coca Cola's Amy Laski explains why Coke is great! food with a lower-case "f"! Food with a capital "F"! Top 10 rules for writing a critical blog. The alternate Google Superbowl Ad. Why Health Check's serving sizes are inexcusable. Should we be treating children for obesity?